We had a very exciting visit last week, not to the actual office (like we told our parents), but to the city of Chichester itself. As part of their first visit to the home of their titles, the Duke and Duchess of Sussex visited Edes House where they were shown the rare Sussex copy of the American Declaration of Independence. Excitement is definitely contagious and as more and more people started congregating behind the barriers on the street with flowers and flags, we decided to join in the fun. Armed with a printer and a broken ruler we were able to create a magnificent banner in next to no time, one that more than caught the eye of the growing number of press outside. 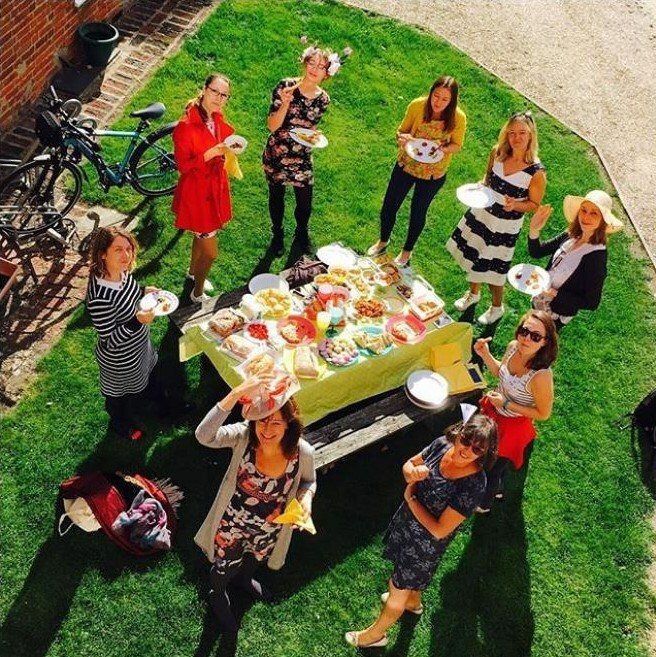 Because of our enthusiasm and the number of different heads that kept poking out of the upstairs windows, we drew the attention of someone special – a BBC journalist! 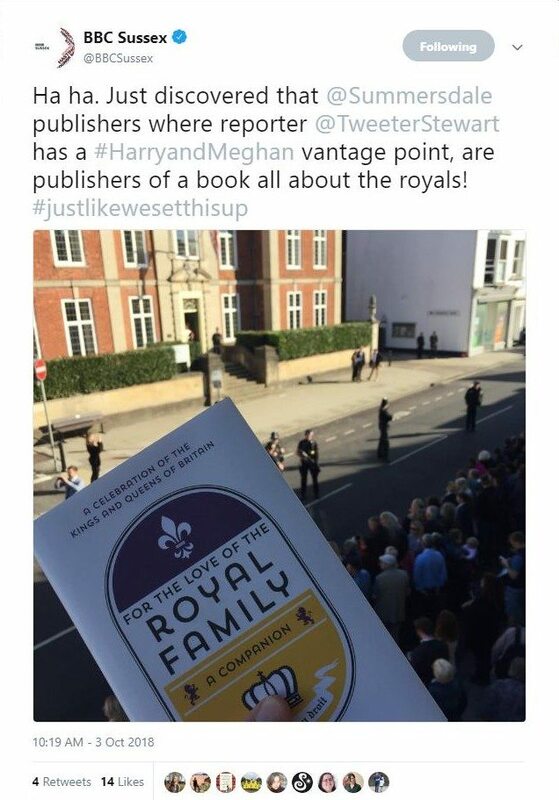 He had noticed our excellent vantage point from the sales office and was willing to exchange a radio plug for a spot so we let him in, on the condition that he did something with our book, For the Love of the Royal Family, which he did! 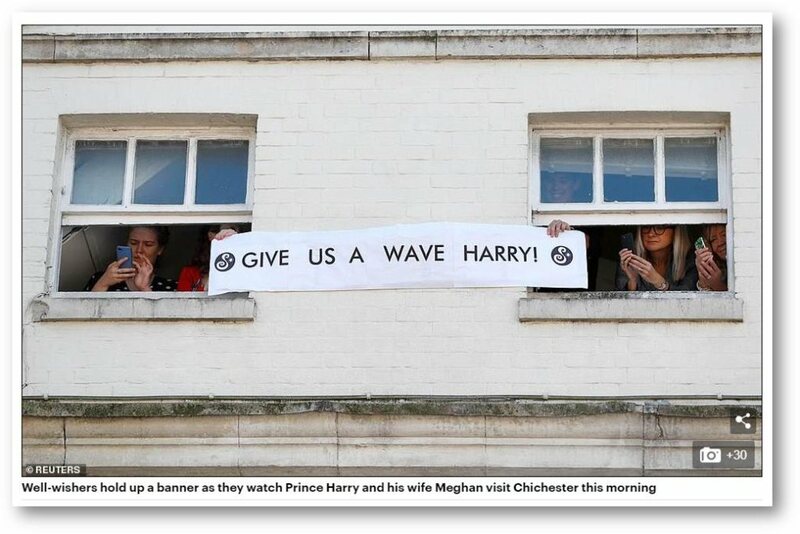 As the royal couple made their approach down West Street, you could feel the excitement, and impatience, in the air. Harry and Meghan did not rush but spent time on their walk greeting and speaking with the people of Chichester and their dogs! From our upstairs window we had an excellent view of Edes House so we had to be patient and wait for their arrival on the steps. 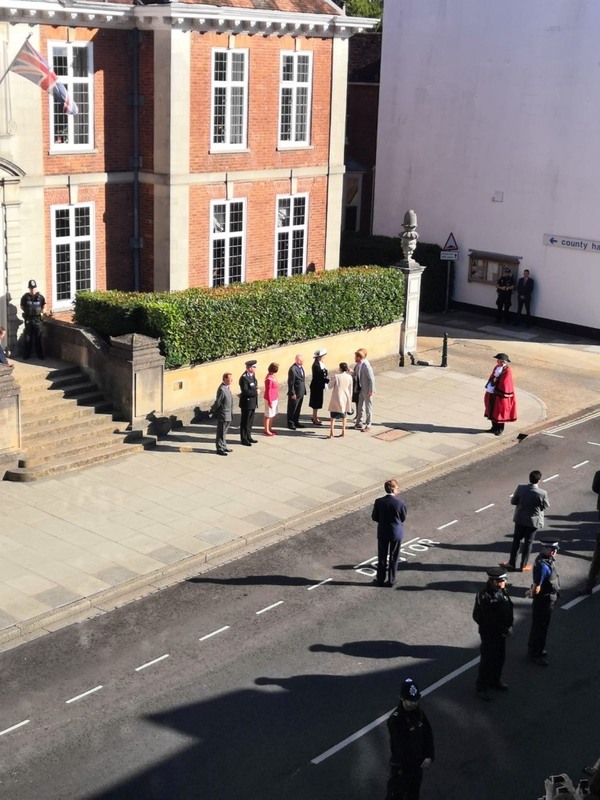 They had a brief chat with the Mayor of Chichester outside, which made for a prime photo opportunity for us, before they disappeared up the steps and through the grand doorway.